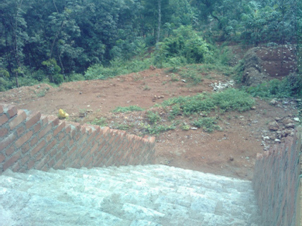 A long period has been over after building Sri Gurunathanmukadi temple complex. 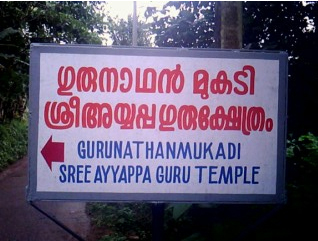 But we could not complete the construction of essential ‘Chuttumathil’, ‘Gopuram’ and 18 sacred steps so far. Now, these constructions are progressing at a slow pace. 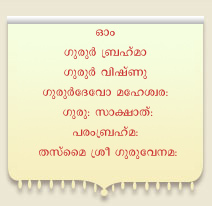 Its main reason is the acute shortage of finance. 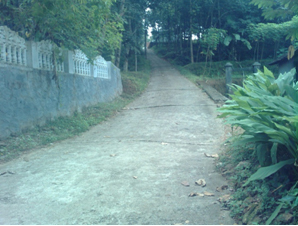 This concrete road is constructed and dedicated by Shri.M.K.R.Pillai and family, Rajavalsam. 14 cents of adjacent land is donated by Smt. 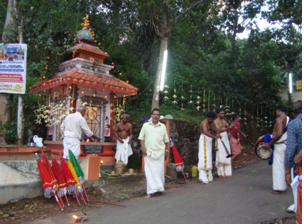 Sarasamma of Akkinattu kudumbam. 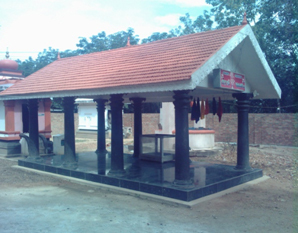 Donated by Ayyppa Bhaktha Jana Sabha, Adyar. Chennai. 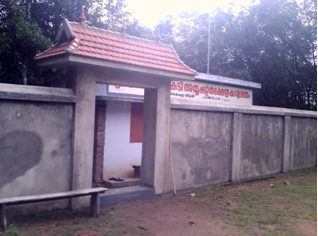 Donated by Mathru Samithi, Gurunathan Mukadi. 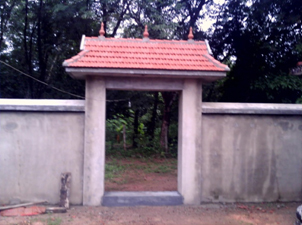 Donated by Mukadiyil Kudumbam, Kaipuzha Kizhakku. 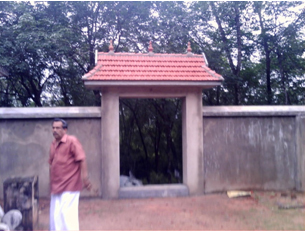 Constructed and donated by Kaleeka Melethil Kudumbam, Kaipuzha Kizhakku. Donated by Dr.K. 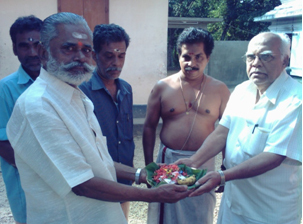 K. Krishnan Kutty founder and Managing Trustee of Shree Thrisakthi Amman Thirukkoil, Chennai.